- CInt, CLng, CStr, CDate, CCur, etc. Versions: Recorded with Access 2013. Most of the material should work with all versions of Access. The majority of the functions covered in today's class go all the way back to the first versions of Access. Pre-Requisites: Access Expert Level 25 recommended, as you should watch all of my classes in order. However, if you're skipping around, you should have at least completed the Beginner series and the first 3 or 4 levels of the Expert series where I start to cover functions. We have covered some of these functions in previous classes, however in this Comprehensive Guide to Access Functions we will cover those in a lot more detail, plus learn many new functions. Today we will be learning about Math and Type Conversion functions. We will beging by learning about the Abs (absolute value) and Sgn (sign) functions. We'll cover the Round function in a lot more detail, and we'll review Banker's Rounding (Round to Evens). We'll learn how to round to the nearest multiple of X (so, for example, round to the nearest 10 or 500). We'll learn how to use the Val function to pull the numeric digits from a text string, and how to convert from hexadecimal to decimal. Next we will learn about the Sqr (square root), Exp (exponential), and Log (natural logarithm) functions. You will learn how to raise a number to a power. You will learn about the mathematical constant e (Euler's Number) and how to calculate logarithms in any base (including 10, 2, and e). 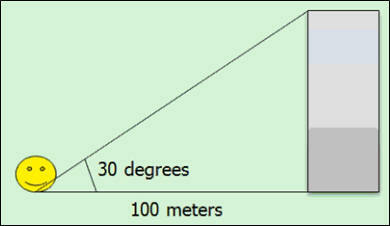 Next we will learn about the trigonometric functions Sin, Cos, Tan, and Atn. Access does not give us a function for Pi (3.14) so we will learn how to calculate it using the Atn function. We will learn how to convert degrees to radians (and vice versa). We will use our newfound knowledge of trig to calculate the height of a building knowing only the distance to the building and the angle to the top of the building. We will learn about the Mod (modulus) function and integer division. We'll learn how to determine if a number is divisible by X (for example, by 3 or 7). Next we will learn about the Rnd function and how to use it to generate random numbers. 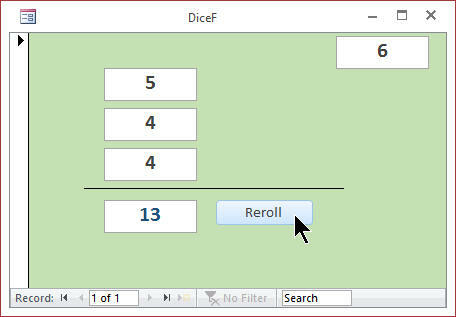 We will build a simple dice roller form where we can generate three random dice rolls (of any sized die) and add them up. We can then use these random number techniques to do all kinds of useful things. For example, I'll show you how to create order/invoice codes that consist of random numbers, or generate a list of X random employees (let's say each month you want to conduct three random employee reviews). These techniques will work for any kind of random number scenario. This is the 26th class in the Access Expert series. This is the second class in my Comprehensive Function Guide series. If you're serious about building quality databases with Access, don't miss out on this course. Of course, if you have any questions about whether or not this class is for you, please contact me. Richard on 11/10/2014: Access Expert 26 is Part 2 of our Comprehensive Guide to Access Functions. In today's class we will focus on Math and Type Conversion Functions. You will learn a bunch of new functions, and new tricks with some of the functions we've covered before. You will learn multiple functions for properly rounding numbers, use trigonometry to calculate the height of a building, display random customer records, build a dice roller, and much more. Topics include: - Math Functions - Abs, Sgn, Round, Int, Fix, Val - Sqr, Exp, Log, Natural Logarithms - Calculate Pi, Degrees to Radians - Trig Functions: Sin, Cos, Tan, Atn - Mod, Integer Division, Is Divisible - Random Numbers: Dice Roller - Display Random X Records - Type Conversion Functions - CInt, CLng, CStr, CDate, CCur, etc. Click here for more information on Access Expert Level 26, including a course outline, sample videos, and more. 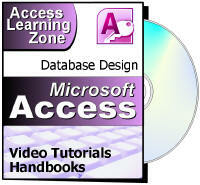 This course was recorded using Access 2013, but most of the functions covered are valid for all versions of Access. This class follows Expert Level 25. The next class in the series is Expert 27 which covers Date and Time Functions.